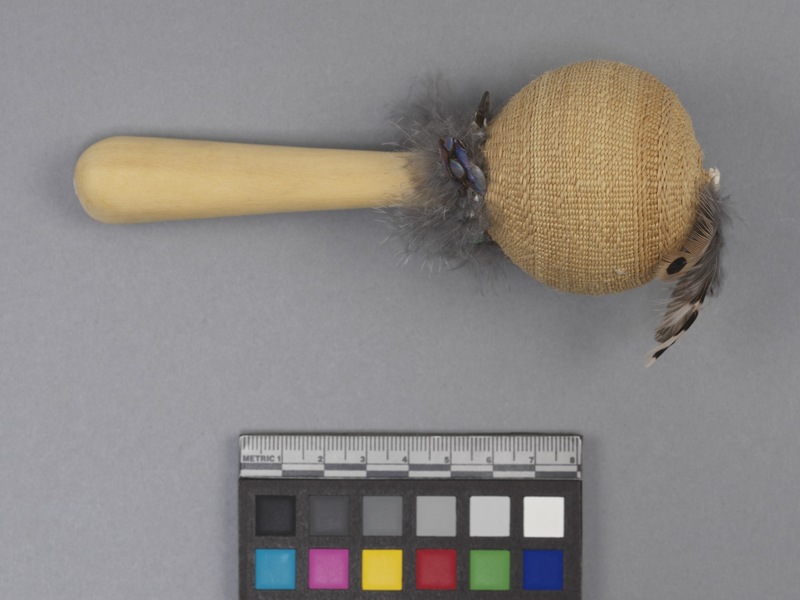 Item number 3260/132 from the MOA: University of British Columbia. 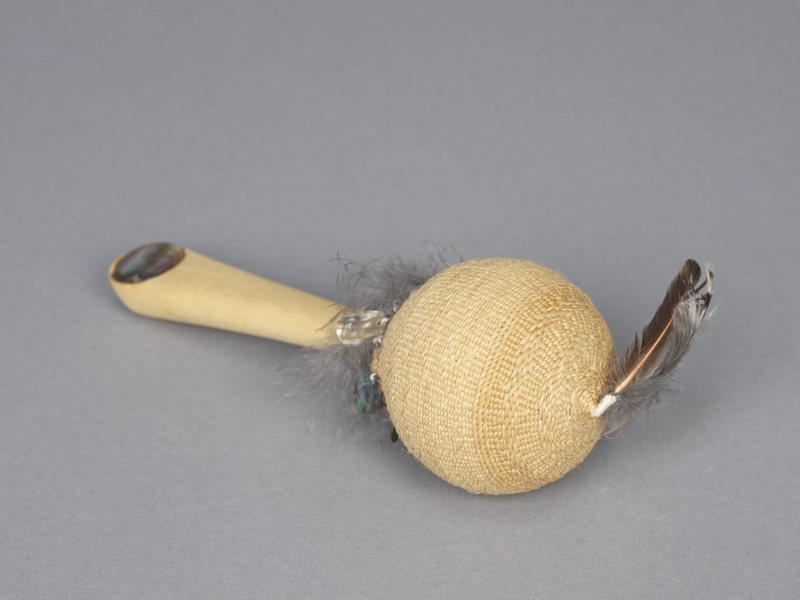 Small basketry rattle with a ball shaped head, made of woven basketry, with a wooden handle. 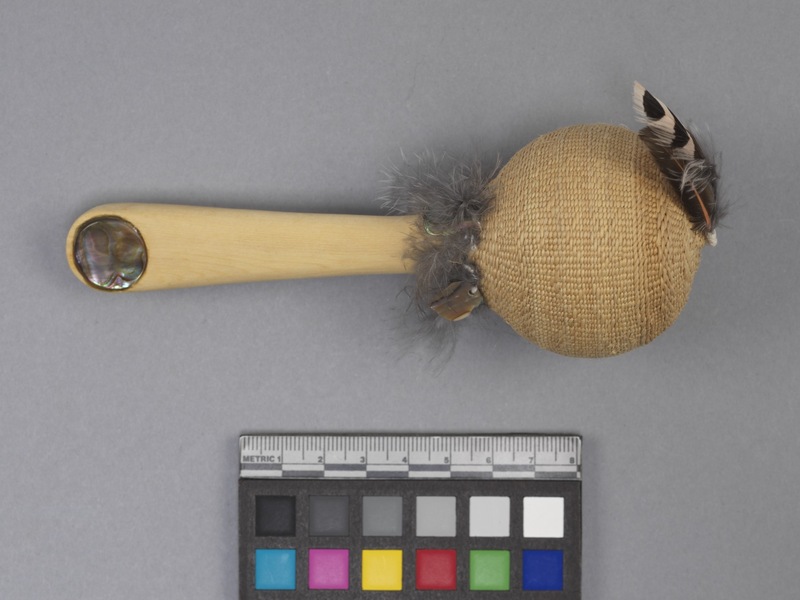 Flicker feathers added for decoration, along with a round abalone inlay on the handle.